About 1.8 million nerve cells die every minute from a stroke in the human brain. This is why in the treatment every minute counts. If a patient is admitted to the hospital, an average of 80 minutes will pass from the emergency call until a blood-thinning lysing drug can be administered or other appropriate measures taken. Transport to hospital, handover, blood collection, neurological examination, computed tomography, all this costs time. And many millions of nerve cells. 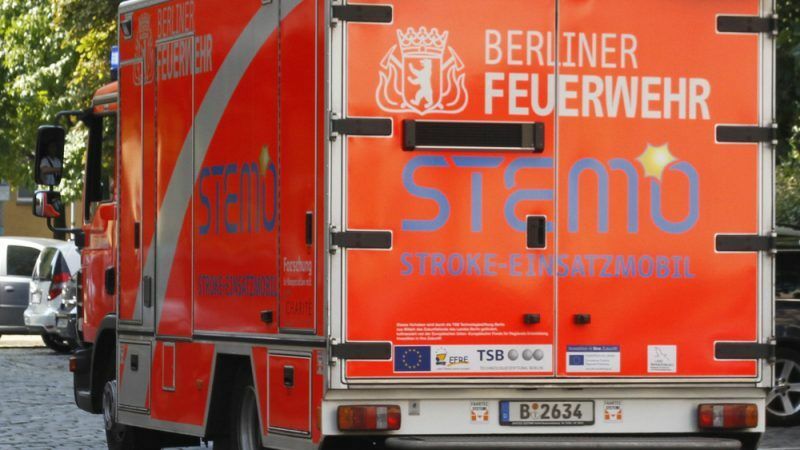 It is precisely for this problem that three ambulances of the special kind are in use at the Berlin Fire Department: the Stroke-Einsatz-Mobile, STEMOs for short, allow complete diagnostics, including computed tomography and lysis therapy, on board of the vehicle. As a result, the time from alerting the ambulance service to the start of therapy can be shortened by about half an hour – statistically speaking, this is about 45 million saved nerve cells per individual patient. It’s a technological masterpiece that is only available in a few countries worldwide, including the United States, Canada, Norway, Australia and Thailand. In Germany, stroke campers drive only in two regions, in Berlin and the Saarland. 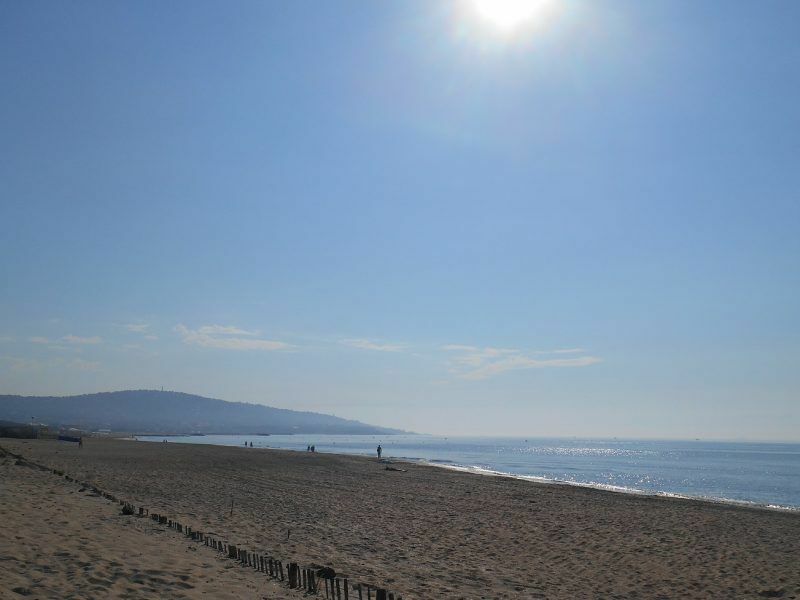 The innovative project in Berlin was made possible by funds from the European Regional Development Fund (ERDF), one of the EU’s structural funds. The STEMO project joins a wide range of projects co-financed by the State of Berlin in the current funding period. Up to €635 million will be available in the German capital between 2014-2020 for investments in competitiveness, research, urban development or job security. The initiative for the acquisition of the Berlin STEMOs came in 2010 from the Charité University Hospital. Together with the fire brigade, the Charité requested the necessary funds from the Technology Foundation Berlin, which in turn used funds from the land and the ERDF funds. However, this does not come without resistance: “It has been quite a struggle to get the STEMOs on the streets,” says neurologist Alexander Kunz, who also drives STEMO missions. Not all representatives in the Senate and the Fire Department were keen of the prestigious medical project. Because while a normal ambulance costs about €200,000, a STEMO costs around one million. Money, which many would have liked to spend on additional ambulances or training. “In the end, however, we received the necessary support from the Senate,” says Kunz. What makes the STEMO so expensive is above all the mobile computed tomography and the laboratory diagnostics on board. The vehicle also has secured telemedical networking, which in complicated cases can be used to connect a specialist in the Center for Stroke Research in the Charité via video. In addition, the Einsatzfahrtzeug has certain personnel requirements, because along with the rescue assistant, it also needs a radiology assistant and a qualified emergency physician neurologist. Since the expiry of the pilot project and thus the ERDF funding, the Berlin Fire Department has purchased three more STEMOs, financed from state funds. “In the meantime, I did not believe that the project would go on like this,” says Professor Heinrich Audebert, head of the STEMO research project. However, the policy was very committed to the project and also the land fire director gave the project great support. Finally, the Senate approved the investment in a budget resolution. Although the three STEMOs in Berlin can cover most of the approximately 12,000 acute strokes a year, vehicles are not an option everywhere. In the ambulance, treatment would still be an enormous benefit, especially in rural areas, when the nearest hospital is far away. But to make the cost of the vehicle worthwhile, about one million people need to come to a STEMO. In rural areas that would be logistically impossible, a single vehicle would have to travel far too far to achieve such coverage. But also in other cities one hesitates with the acquisition of the vehicles. 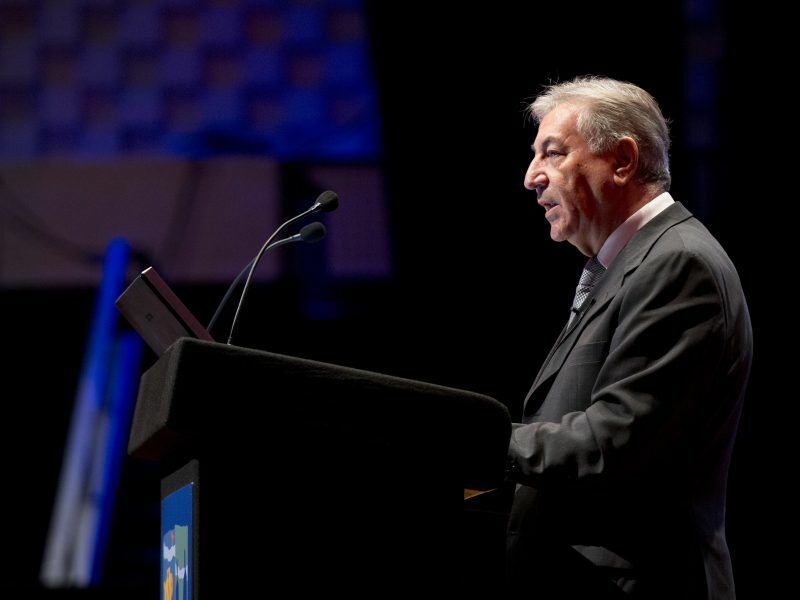 “At the moment, we do not have sufficient long-term results on the benefits of treatment in STEMOs, our study is still ongoing,” explained Professor Audebert. But he is confident that this will change.